Built in 1981, by Dakota Creek Industries of Anacortes, Washington (hull #11) as the Philip W. for the Wilmington Transportation Company of Los Angeles, California. In 1998, the Wilmington Transportation Company was acquired by the Foss Maritime Company of Seattle, Washington. Where the tug retained her name. 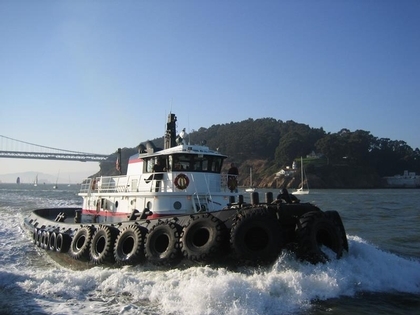 In 2005, the tug was transferred to AmNAV Maritime Services of Oakland, California. A subsidiary of the Foss Maritime Company of Seattle, Washington. Where she was renamed as the Patriot. In 2012, AmNAV Maritime Services was reabsorbed back into Foss Marine Holdings of Seattle, Washington. Where the tug retained her name. Powered by two, EMD 12-645-E6 diesel engines. She is a twin screw tug, rated at 4,800 horsepower.